How much blood can a character lose before they die? Well, it kinda depends on the size of the character, to be honest. If a very large man loses a liter of blood, it’ll have a completely different effect than if a very small woman loses a liter. So the specific amount that a character can lose varies with the character. But I’ll try to give some general guidelines so you can figure it out for your character. First of all, let’s figure out how much blood is actually in your character. Blood is made of plasma, and blood cells, and all kinds of good stuff. (Remind me to write a post about blood composition.) Regardless, here’s a reasonable way to figure out how much blood your character is starting out with. Okay, now that that’s out of the way, we can do some calculating! Our hero, Toughguy Manley, is a 70 kg man, with a hematocrit around 47. Let’s see how much blood he has. So, Toughguy Manley will have about 6.6 liters of blood in his body, or 6600 mL. I’ll wait while you do some calculations. Now that we know how much blood your character has, we can figure out how much she can afford to lose. The pretentious medical term for bleeding is “hemorrhage”. (“hemo-“ = blood, “-rrhea” = flow). The way doctors classify hemorrhage is by percentage of blood volume loss. Class I Hemorrhage – Loss of up to 15% of blood volume. In a healthy character, this won’t cause too much trouble. At the very most, her heart will start beating slightly faster. But that’s about it. Her blood pressure won’t change appreciably, and she probably won’t have too many symptoms in general. Class II Hemorrhage – Loss of 15-30% of blood volume. Your character’s heart will beat faster to circulate the remaining blood faster, to make up for the fact that there’s less of it. Her blood pressure will undergo a mild to moderate decrease, and she may start to have some symptoms related to the drop in blood pressure. For example, her skin will get cold and clammy as her peripheral blood vessels narrow down, squeezing the blood out of the skin so it can supply more vital organs. She may feel light-headed, and have some changes in her mental status. If she tries to sit or stand up quickly, she may get dizzy. She won’t make as much urine, since there’s less volume passing through her kidneys for processing. Class III Hemorrhage – More than 30% blood volume loss. The symptoms that started to show up in Class II will get worse. Her heart will beat very quickly, but it won’t be enough to keep her blood pressure up. The blood pressure will fall even more dramatically, resulting in even less perfusion of the skin and the extremities (which will make them cold to the touch), and her mental status will decline significantly. Class IV Hemorrhage – More than 40% blood volume loss. Your character’s body will not be able to compensate for a blood loss this severe. She must either get an emergency transfusion, or she will die from hemodynamic decompensation. So with this information, now we can figure out how much blood, to the milliliter, will leave your character’s body during your dramatic wounding-and-possibly-killing-of-character scene! Let’s have an entertaining example! Remember, Toughguy Manley is a 70 kg male, and he has about 6600 mL of blood. 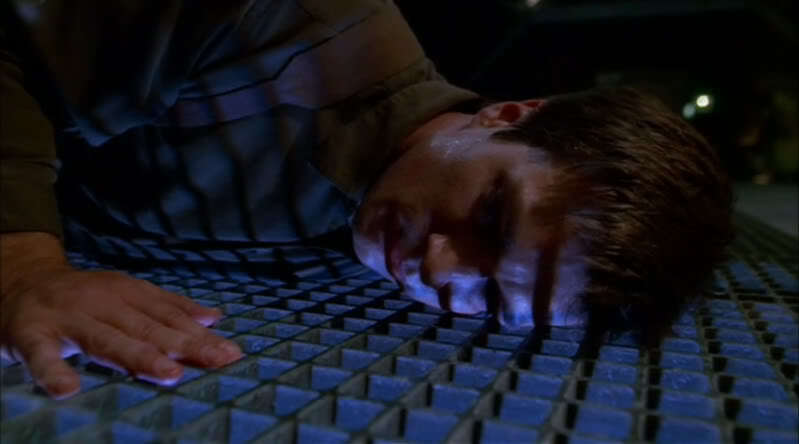 He’s just found the Seekrit Hiding Bunkur that houses the Doomsday Device of Doom (Of! DOOOOOOOM!). Suddenly, during the dramatic climax of the story, he’s shot by Best Friend McTurncoat, who was actually working for the Evil Bad Dudes all along! Now, he can’t die from this, because he has to tell Gorgeous Genius just how badly he’s fallen for her, and he has to be just loopy enough that he’ll tell Gorgeous Genius just how badly he’s fallen for her! So, let’s put him at an early Class III hemorrhage. Say, 32% blood loss. Toughguy Manley has lost a bit more than 2 liters of blood. He’s giddy, his heart is beating like crazy, his blood pressure is low, and his hands and feet and skin are cold and clammy. And he’s still losing blood. And Best Friend McTurncoat is standing over him, expressions of triumph and deep anguish fighting for dominance on his face. It’s not looking good for Toughguy Manley. Luckily, at that moment, Gorgeous Genius activates the Doomsday Device of Doom (Of! DOOOOOOOM! ), after re-jiggering it to use only a small percentage of its capacity, and to affect only Evil Bad Dudes! (Plus, now it writes novels! And assembles bicycles! And makes three kinds of french toast!) All the Evil Bad Dudes fall over unconscious, and the day is saved! Hip, hip, hooray! And as Gorgeous Genius saves Toughguy Manley’s life using the blood-transfusion setting on the rejiggered Doomsday Device of Doom (Of! DOOOOOOOM! ), he professes his undying love for her and for her absolute bad-assery. And for physiology. Because physiology rocks. Manning, James E. Fluid and Blood Resuscitation. Tintalli’s Emergency Medicine, Chapter 31. McGraw-Hill, 2004. I’m writing a military sci-fi novel, and I’ve run into a medical snag. I know (or like to think) that there are certain toxins which can rob the blood’s ability to transport oxygen. Would you happen to know what the emergency treatment is for such a situation, or could you point me in the right direction? How does your blood carry oxygen? 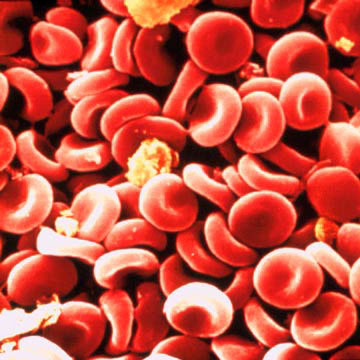 The red color of your blood is from all of the red blood cells floating in it. 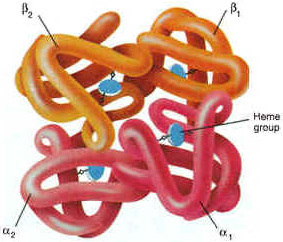 Each of the parts of the protein has a little “pocket” that contains a unit of heme. I think heme is a truly awesome molecule, so I’m going to show its structure below. Notice the “Fe” in the middle. That’s the symbol for iron, and it’s very important to heme’s function. The other letters are also symbols for atoms; this tells you what the molecule is made of. C = Carbon, O = Oxygen, H = Hydrogen, N = Nitrogen. Just look at it for a sec. Isn’t it gorgeous? Yes. Get on with it. Fine. Back to the point. Enter carbon monoxide. Carbon monoxide is made up of one carbon atom and one oxygen atom. (The name tells you that, if you break it down.) Carbon monoxide also likes to bind to heme, in the same spot where oxygen likes to bind, right in the “pocket”. Carbon monoxide can not be used in the same way as oxygen. And it takes up all the heme groups that should be used to transport oxygen. And it doesn’t like to let go of heme once it’s grabbed on. Long story short: Carbon monoxide interferes with proper oxygen transport, which seems to be the scenario you’ve described. Bear with me; we’re going conceptual. But I promise, it’s relevant to the subject matter. First, picture a tank with a bunch of superballs bouncing around in it. That’s what goes on at a molecular level in most substances. A bunch of molecules bounce around, colliding with each other at random. Now picture these superballs with extra appendages or depressions, three-dimensional fittings like puzzle pieces. If two balls hit each other in exactly the right orientation, they’ll attach together. The pairs, once formed, can also break apart spontaneously. That’s how molecular events occur. And for these purposes, let’s say that these events are pretty common. You have a population of red superballs with a particularly-shaped depression in them; they can only admit a certain shape of superball appendage upon collision. Now, two populations of superballs have that particular shape of appendage, one green population and one yellow population. They can both attach to the red balls, but once they’re attached, the yellow balls don’t let go quite as easily as the green ones do. So, if you have equal populations of the two, eventually you’ll end up with more yellow-red pairs than green-red pairs. The yellow out-competes the green for attachment sites. The only way you’ll get more green-red pairs than yellow-red pairs is by making sure the population of green balls FAR outnumbers the population of yellow balls. This basically explains the basis of treatment for carbon monoxide poisoning. The red balls are the hemoglobin, with its particularly-shaped pocket. The green balls are oxygen, that can attach with some affinity. The yellow balls are carbon monoxide, which have a much higher affinity for the hemoglobin. So, if you have a bunch of carbon monoxide bouncing around the system, oxygen will be out-competed for binding sites in the pockets of the available hemoglobin. The only way to correct this is by increasing the population of oxygen molecules as far as you can; putting in something like ten green balls for every one yellow one. Eventually your population will consist of mainly green-red pairs (oxyhemoglobin) and very few yellow-red pairs (carboxyhemoglobin). So, the treatment for carbon monoxide poisoning is basically, saturate a person with oxygen in order to outcompete the carbon monoxide. You can use carbon monoxide for your scenario if you want to; it seems to fit well. At that point you’d just turn up the oxygen on the bridge or find your character an oxygen mask, and out-compete the carbon monoxide. Alternatively, you can propose another toxin that interferes somehow with the hemoglobin molecule, and then make up an antidote that (a) displaces the toxin from its site of interference or (b) binds up the toxin to keep it from getting to the site of interference. Hope that helps! Thanks for writing! If you use this as if it were real medical information, I’ll fill all of your pockets with superballs. They will become very bouncy pockets.